It seems like 99 percent of the mail we send is electronic these days. The other 1 percent is letters and postcards that we want to postmark with our (usually enviable) location for the recipient. That’s why we dig these uber-accurate Google Maps envelopes. Now we can say Hello from 100 Holomoana Street, Honolulu, HI, 96815! Republished from King Features. Sally Forth is by Francesco Marciuliano; drawn by Craig Macintosh. Girl: I’m Sorry. The Google Maps team hired me. Boy: But I can’t move to California! Girl: Then I guess this is the end. Boy: It can’t be! Listen… When I look deep into your eyes, I see a future for us. Boy: “We’re sorry but we don’t have imagery at this zoom level”? They… they have you already. 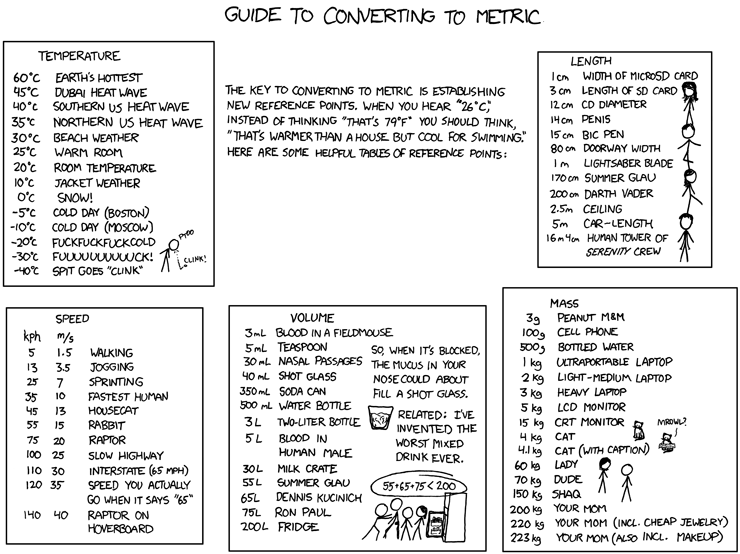 Republished from XKCD. A webcomic of romance, sarcasm, math, and language. Thanks Jo!